Stand out in the crowd wait no longer with the Irresistible occasionwear collection now available from McElhinneys. Irresistible wedding outfits are perfect for discerning women who love to dress in style without upstaging the bride on the day. This collection is particularly inspired and each outfit has been designed to convey a sense of elegance and sophistication. The Irresistible occasionwear collection is made using high quality fabrics which not only look and feel great, but also act to complete to overall design of each item. 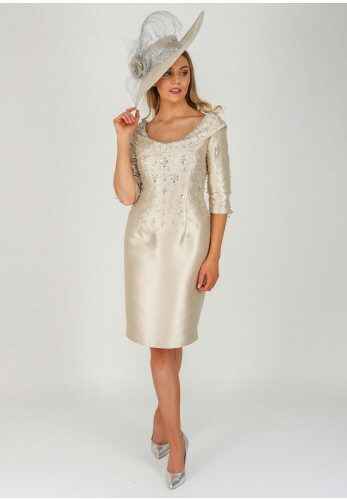 It is this fine attention to detail that has contributed to the continued popularity of the Irresistible range of outfits, which is also one of the reasons you will find this brand at McElhinneys Bridal Rooms. We showcase only a small selection of our total stock online as it would not be possible to continuously update our ever changing and growing range of designer outfits. This is why we advise our valued customers to pay us a visit in-store to get a feel for the different fabrics, finishes and, of course, to find the right fit for you.